One of the benefits of using ASP.NET Web API over WCF services is that the client does need to consume a proxy in order to make a call to Web API service. This facilitates decoupling between the client and the Web API service. 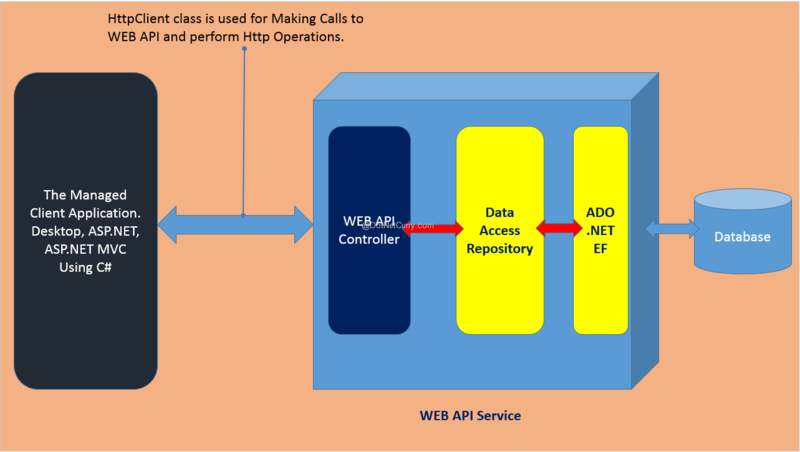 The following diagram explains the architecture of calling Web API using a Client Application. The above diagram explains the basic arrangement of a Web API Service and the client application. The API Service communicates with Database for writing and reading data and uses ADO.NET EntityFramework to communicate with the database. 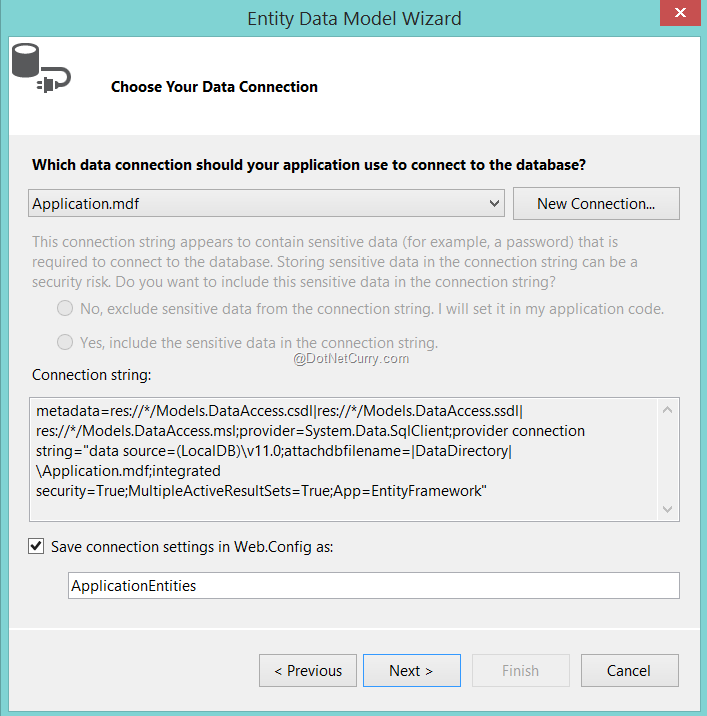 The Data Access Repository, decouples the ADO.NET EntityFramework from the ApiController class, using the simple implementation of the repository pattern, implemented using Unity.WebApi framework. The WEB API Controller class calls the Data Access Repository for performing Read/Write operations. The Managed Client Application, uses HttpClient class for performing an asynchronous calls to the Web API. This is the base class used for making an asynchronous calls to the remote service repository using its URL. This class is present under the System.Net.Http namespace and provide methods like GetAsync (), PostAsync (), PutAsync () and DeleteAsync (). Step 1: Open the free Visual Studio 2013 Community Edition and create a Blank solution, name this solution as ‘MVC_ClientWebAPI’. In this solution, add a new ASP.NET Web API Project of the name APIService and click OK. This will create a Web API project with the necessary folders for Models, Controllers, App_Start, App_Data, etc. Step 2: In the App_Data folder, add a new Sql Server database of name ‘Application.mdf’. 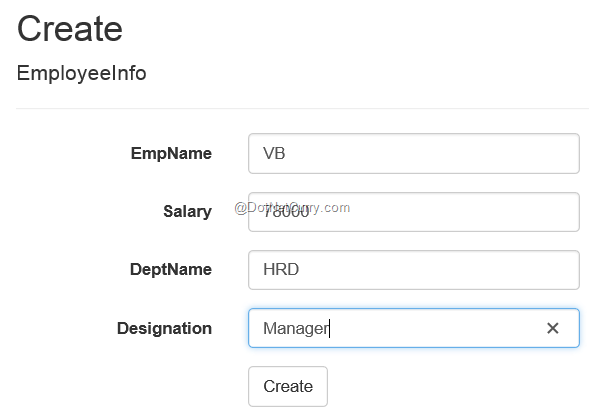 In this database add the EmployeeInfo table using the following script. After completion of this wizard, the table mapping will be generated. 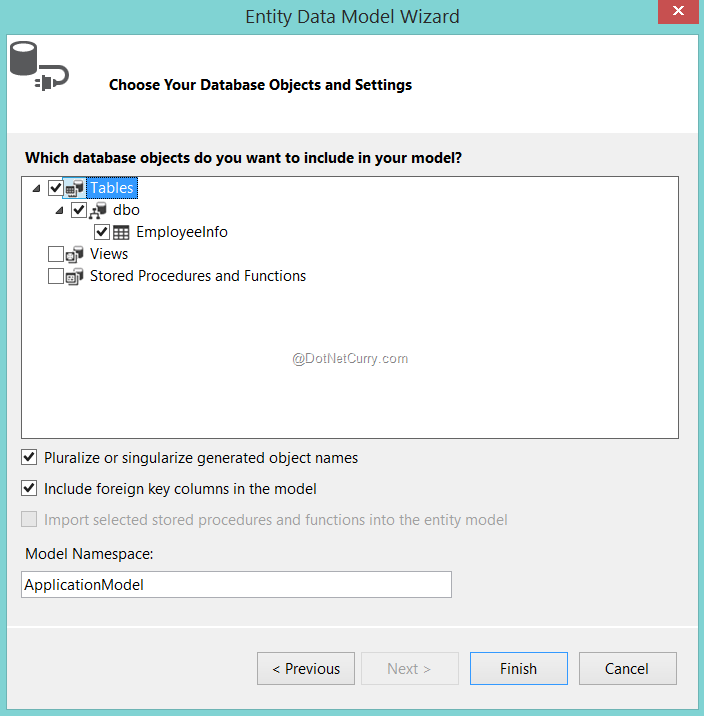 This creates EmployeeInfo class and ApplicationEntities class in the Models folder. Click on the install button. This will add Unity.WebApi reference in the project references. The App_Start folder will be added with the UnityConfig.cs file with UnityConfig class in it. We will modify this class in the coming steps. TEntity: This is the class type, represents the entity class used during Read/Write operations. TPrimaryKey: This is an input parameter used during Reading of specific record and deleting it. //The dendency for the DbContext specified the current class. The above class code is specified with the ApplicationEntities DbContext injection using [Dependency] attribute on it. This eliminates need of creating instance using new keyword. The class contains methods for performing Read/Write operations using ADO.NET EF methods. The RegisterType () method accepts the interface and class for registering in the Unity container. The UnityDependencyResolver wraps the container object of the type UnityContainer in it. This resolves the dependencies registered inside the container. In our case, we have registered IDataAccessRepository interface and clsDataAccessRepository class. The above line of code calls the RegisterComponents () method in the Application_Start event so that all dependency must be registered in the beginning of the application. In the above controller, the clsDataAccessRepository object is injected using Constructor Injection. The controller contains methods for performing Http GET, POST, PUT and DELETE operations. Step 1: In the same solution, add a new ASP.NET MVC application of name ‘MVC_Client’. You can also select Empty MVC application. If you select an empty mvc app, then in that case reference for Json.NET must be added explicitly using NuGet Package Manager. This is for JSON Serialization and Deserialization of the Entity object during Read/Write operation. To make Http calls using C#, we need to add references for System.Net Http. Note: The NuGet Package for Json.Net and references for System.Net.Http is not required if an ASP.NET MVC ready template is chosen. Step 2: In this project in the Models folder add the following EmployeeInfo class. This is the same class available on the API Service side. We need this for the Serialization and Deserialization during Read/Write operations. The constructor of the class instantiates the HttpClient class. This instance is set with the properties like BaseAddress, this represents the remote Web API URL with which the Read/Write operations are performed. The DefaultRequestHeaders is set to accept the media type formatter for json data. The Index () method uses the GetAsyc() method to receive the HttpResponseMessage. Since the response message contains the Json string contents, this content can be read using ReadAsStringAsync() function. 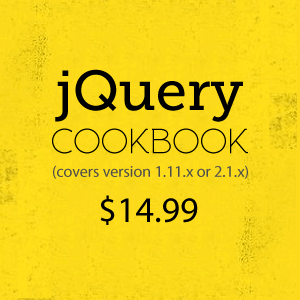 The string contents are DeSerialized to the List of Employees using DeserializeObject () method of JsonConvert class. Since this call is asynchronous, the Index() method returns Task<T> object where T is ActionResult. Create() function with HttpPost uses PostJsonAsAsync() method to make the asynchronous post of the EmployeeInfo object to the Web API Service. Similarly Edit() method uses PutAsJsonAsync() method and Delete method uses DeleteAsync() methods for performing respective operations using Web API. Step 4: To generate UI for the application, scaffold views from the Index, Create, Edit, Delete (all HttpGet) methods. This adds Index.cshtml, Create.cshtml, Edit.cshtml and Delete.cshtml in the EmployeeInfo folder of the Views folder. Step 5: To run the Index.cshtml, change the RouteConfig class from RouteConfig.cs file of the App_Start folder. Click on the ‘Create’ button, the control will be redirected to the Index view with the record added as shown in the following image. Conclusion: We saw how the HTTPClient class provides useful methods to call an ASP.NET Web API service asynchronously from the managed clients like WPF or ASP.NET MVC.